Genealogy research is such an important study. People want to know where they come from and where their roots are, and we try to do our best to help people do that. Our computer lab in the Fort Branch Learning Center is open the same hours as the Fort Branch library. Come in and we can help you get started! In the computer lab, we have the Fort Branch Paper on microfilm that can be utilized during your research. We also have several local Family Trees saved to flash-drives. Maybe some of the research has already been done for you! To the left there are links to other sites that will help you in your search. 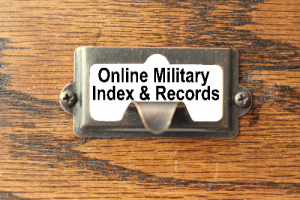 Online Military Index & Records would be of interest to veterans and their families. This site shows a variety of military records from photos to documents and contains other searchable databases. 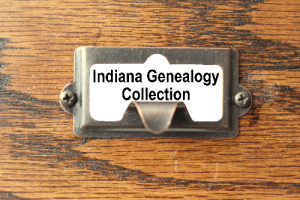 Indiana Genealogy Collection is through the Indiana State Library site which includes all Indiana cemeteries complete with pictures and marriage, death and birth records. The Indiana County Research Guide is a good place to start. The Indiana genealogy information on our State Library site has won awards for its usefulness. The Family Search is a site associated with the Latter Day Saints, which contains one of the largest genealogy databases available. MyHeritage can be accessed from your home. You will need to make your own, free account to research your family and to build a family tree. Ancestry, the library edition, can only be accessed at the Fort Branch and the Haubstadt libraries through our website. The great folks at Ancestry are constantly adding new information to help with your research.